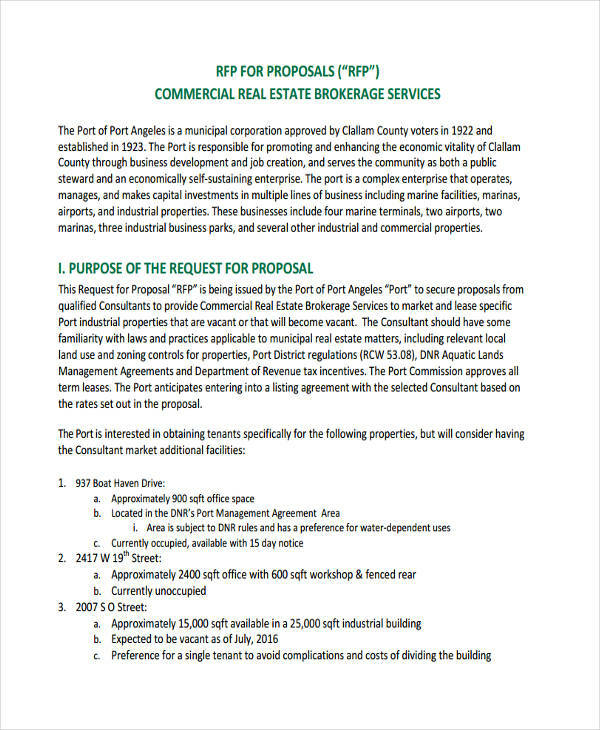 A request for proposal (or an RFP) is created by a company to ask for business proposals from different entities. 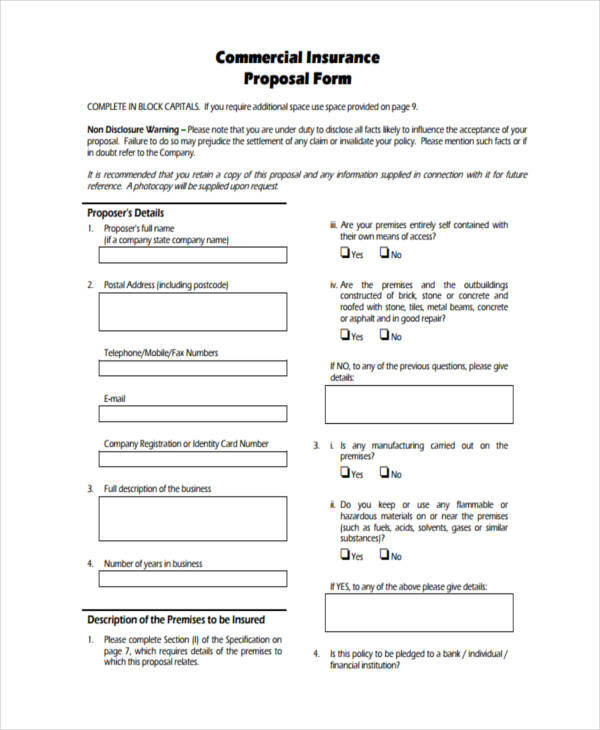 This document and its proposed design is made in relevance to bidding procedures in a variety of processes where different companies propose their offers for the things needed by the business who create the request for proposal. 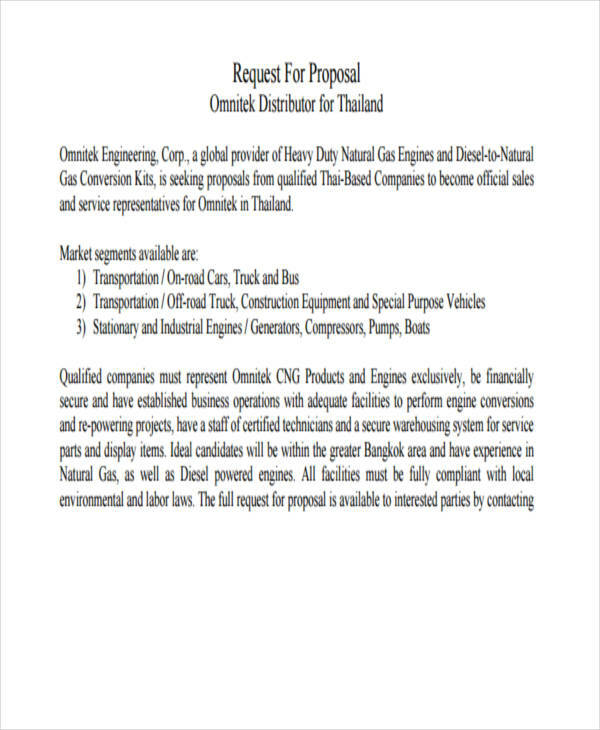 There is a need for a request for proposal when there are technical expertise and other specialties that are needed to be applied in a particular procurement transaction. 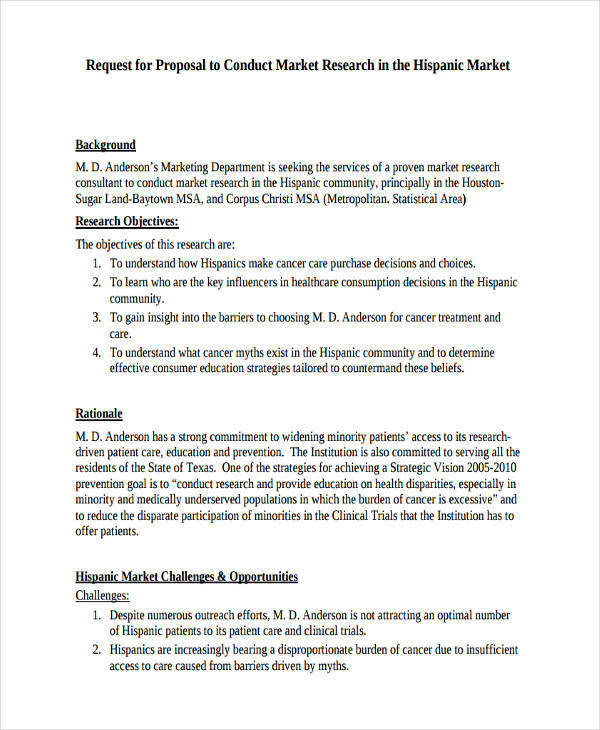 Refer to our samples and templates available for download in this article if you need to have guides in creating the specified document. 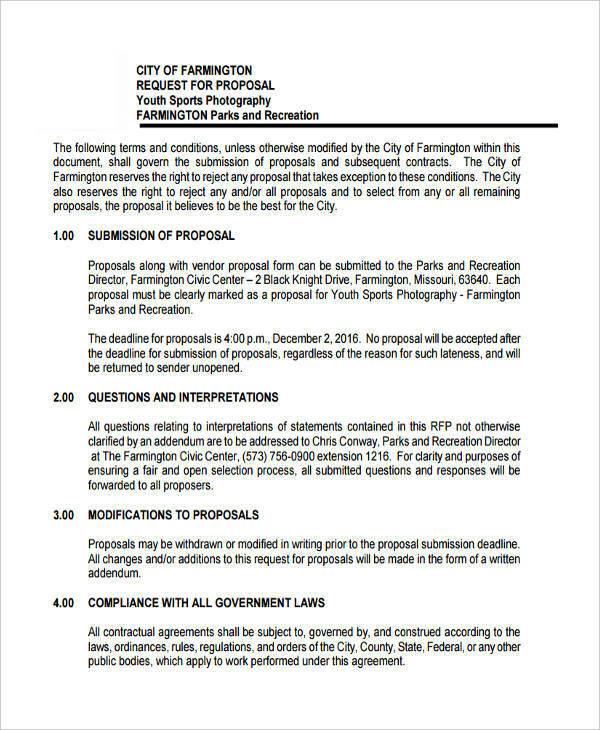 What Is Request for Proposal? 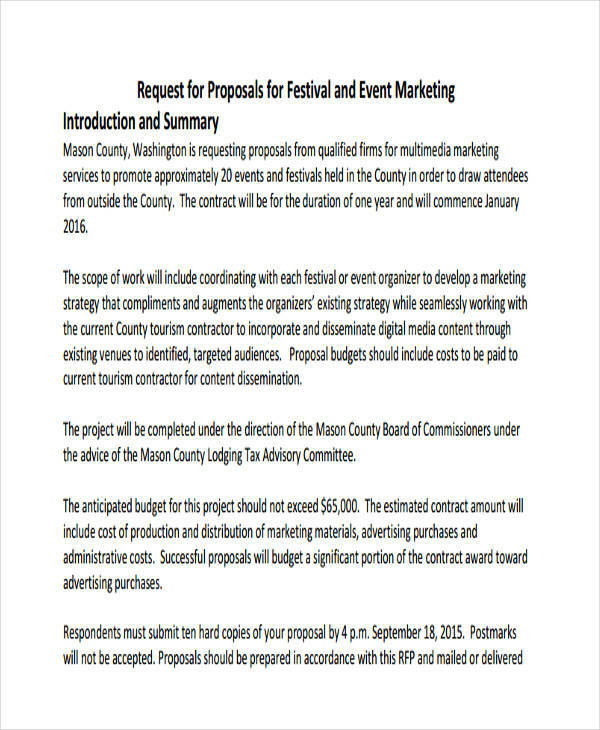 A request for proposal is the document which can provide the price quote requested by a business’ clients and/or customers. 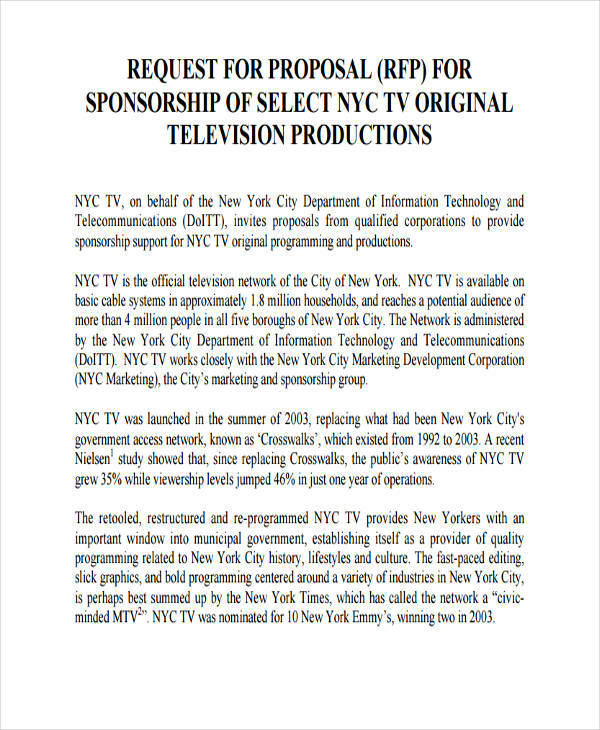 Request for proposals can also be in a form of request for information which is necessary especially in transactions where a client has not previously worked with a company yet. 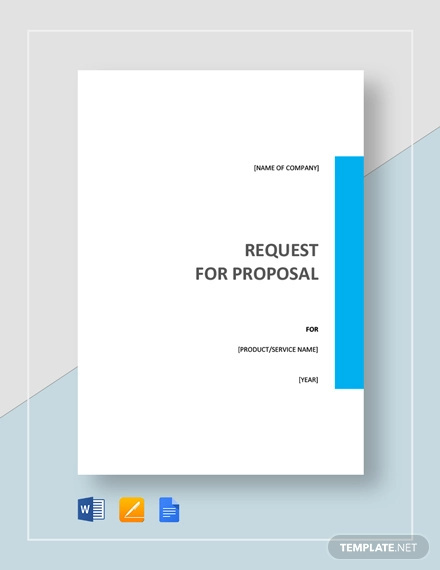 Request for proposals is business proposals for customers which can showcase the initial details that are needed to be known by the clients who would like to acquire a product or a service from a business entity. Before coming up with a solar power management agreement, companies first need to receive bids from different entities. Listed below are the steps that you may follow in making a solar request for proposal that is both effective and efficient. Just like a professional proposal, you first need to identify your smart goals. 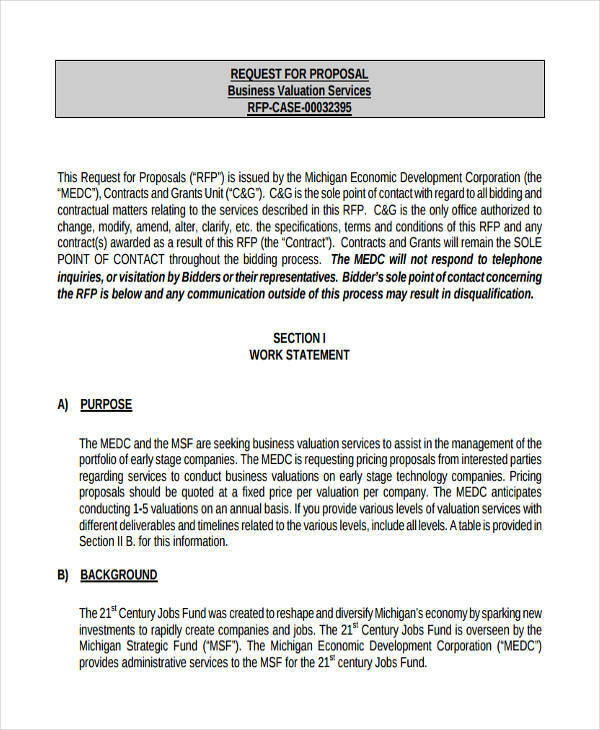 In this matter, the objective that you have in the creation of the solar RFP. 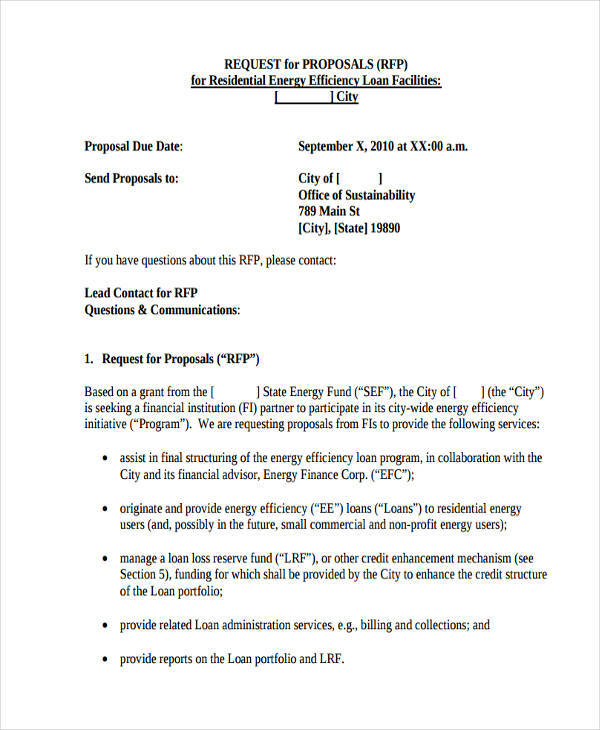 Make sure that the stakeholders involved in the creation of a solar RFP are well aware of their functions and responsibilities. Ask for proposals that are outcome our output based which is very essential to assure that the requirements present in the request for proposal will be provided. The next thing that you need to do is to gather site information. Should research not be enough, it will be helpful if you will implement assessment questionnaire. Once the processes are already executed, it is suggested for you to hire a consultant which can help you evaluate the items presented by different entities. 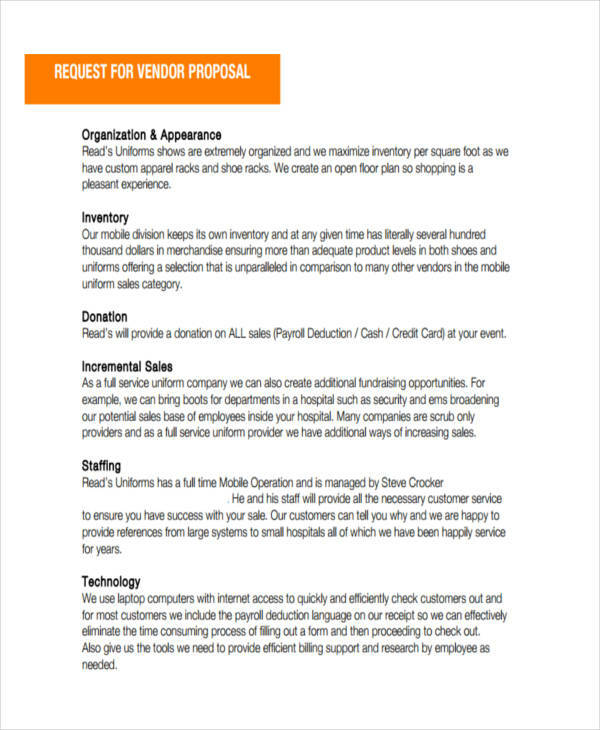 A request for proposal is a way to ask for details with regards to the ability of a business to provide the needs of its customers. 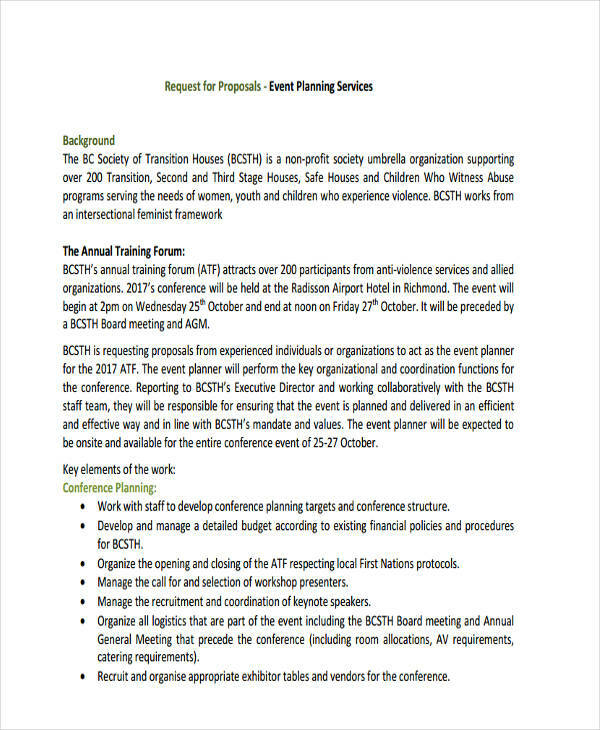 This may also include questions about the objectives and goals of the Grant Proposal within a professional industry. 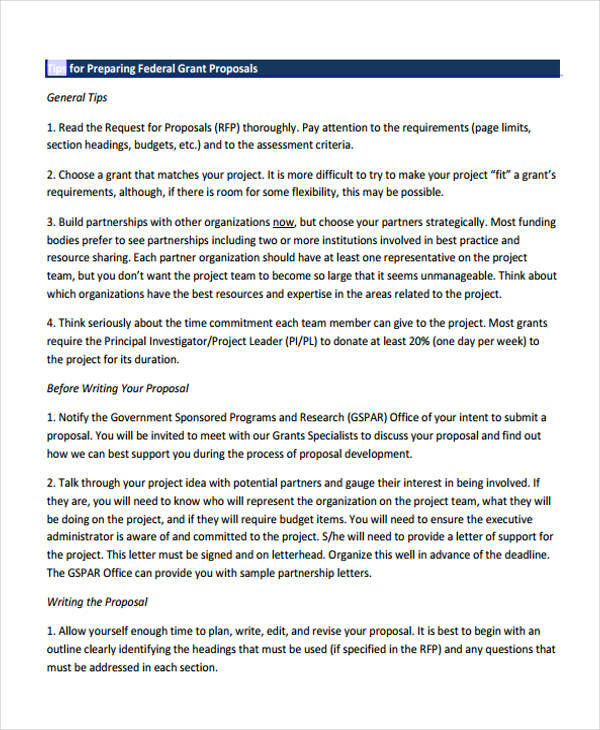 Look at proposal examples in PDF and other kinds of free proposal documents so you can be aware of the format that you may use in writing a website design RFP. Provide an overview of the output of the website design project that you would like to achieve. You should provide the details of your target audience so the website design that you want can be created based on the needs and interests of your target market. Present the project goals that you want to get to the entity who will provide a website design proposal can present a relevant list of service proposal that they can give you with. 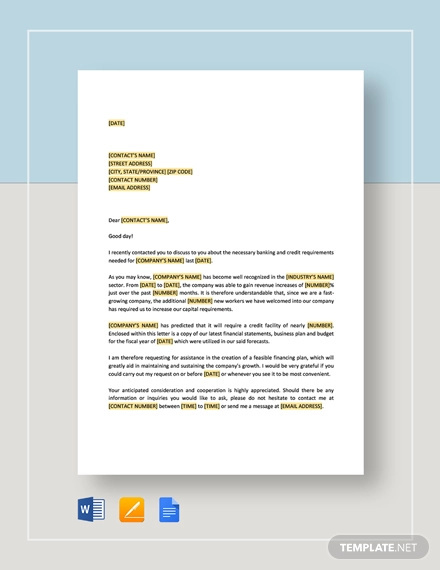 Make sure that you will be specific in terms of the deliverable that an entity needs to provide. You can also showcase the scope of work that you expect from the business whom you would like to select for the particular website design undertaking. Be particular with the target completion date of the website design. This will allow the entities who will send you a proposal to identify if they can deliver your needs on the given timeline. Precisely list down the technical functions and requirements of the website that you want to have. A budget for the website design creation shall also be presented in a precise manner. You may also discuss information about web hosting, you’re desired online and technical support, the software that you would like to make use of and other details relevant to the proposal that you want to get. 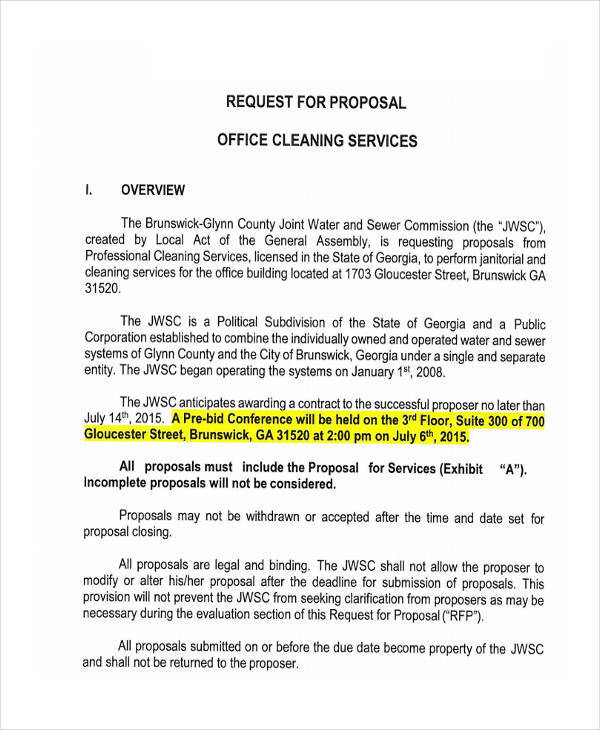 What Information Is Not Necessary in a Request for Proposal? You do not need to be strict for the items that you would like to initially achieve. 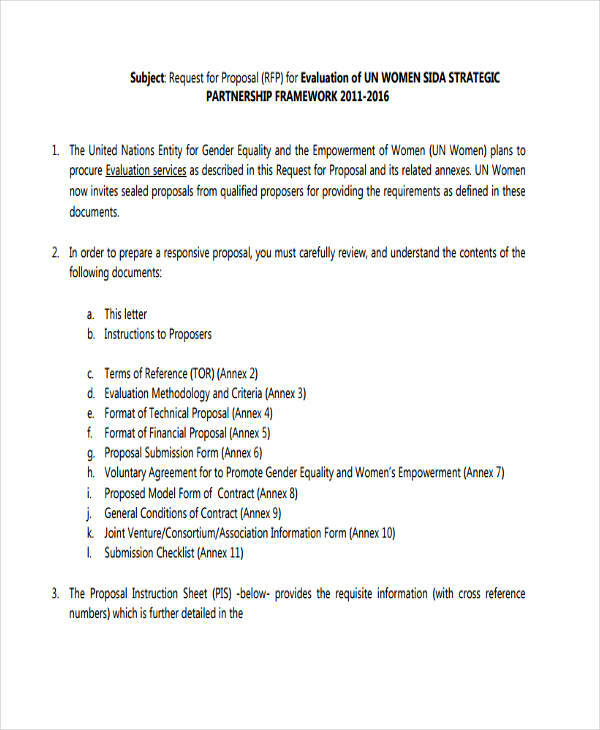 This is applicable if you are still not fully decided and you know that there are still some changes that may occur during the proposal development. A timeline is necessary to be created especially the date in which you expect the completion of the project. However, specific time frames may not be included as this will depend on the strengths and abilities of the entities who will send you the proposal. 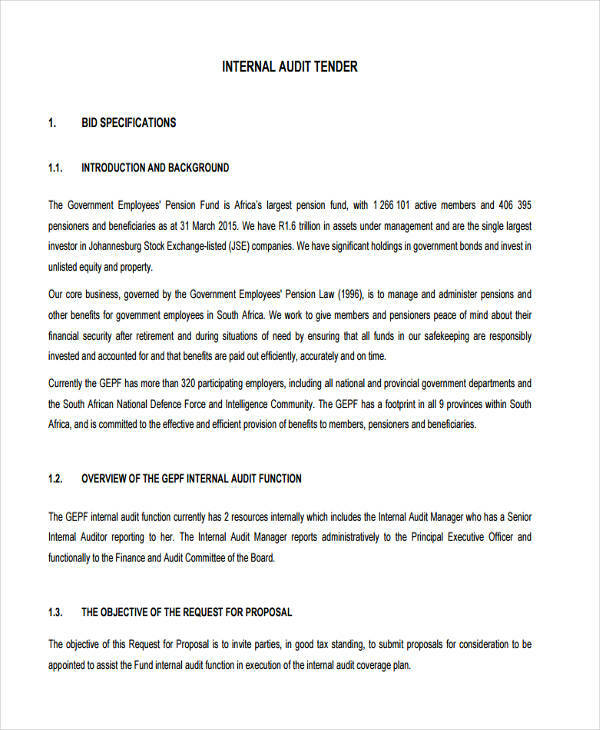 What Is the Difference between a Request for Proposal and a Tender? 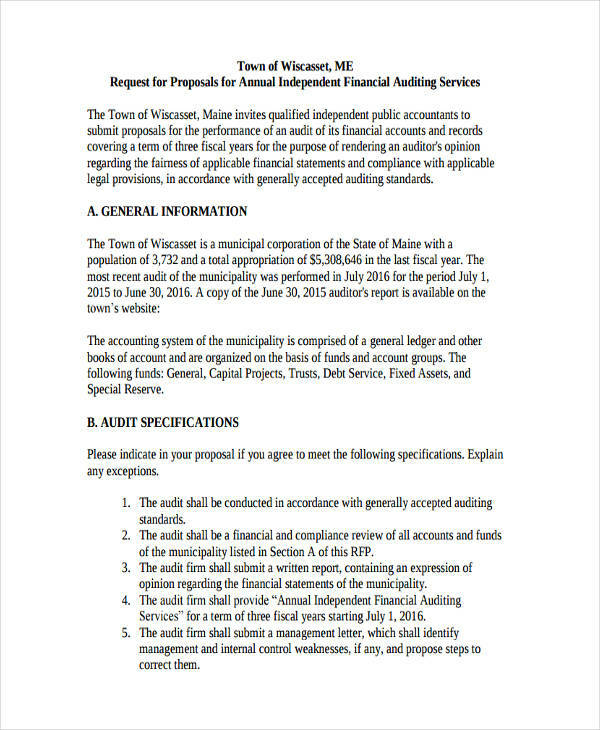 Tender bids and request for proposals are sometimes used interchangeably by various entities. However, they are not the same in a variety of levels. 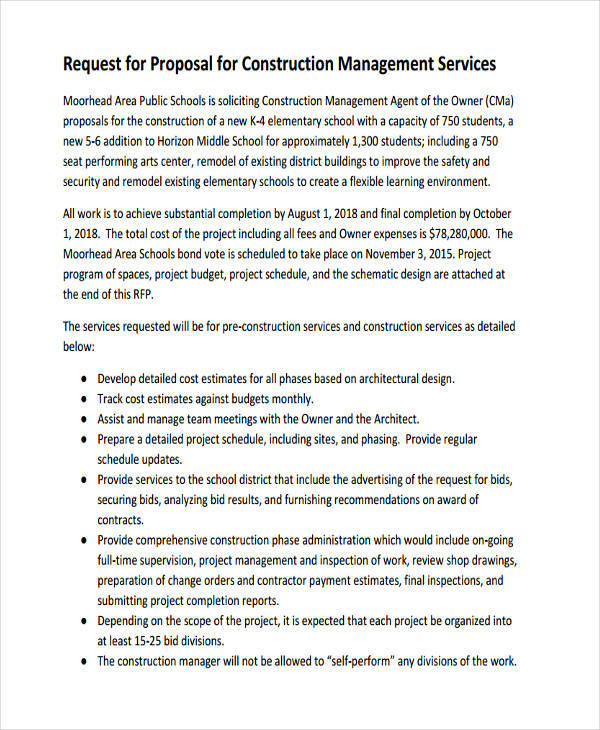 Listed below are the differences of a request for proposal and tender bids. 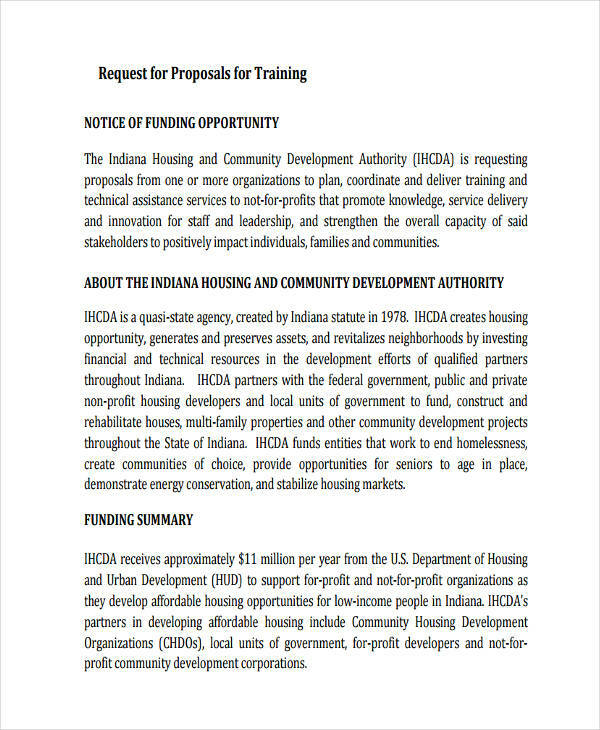 Tender bids require non-profit proposals with specific outcomes, final results, methods and work processes. 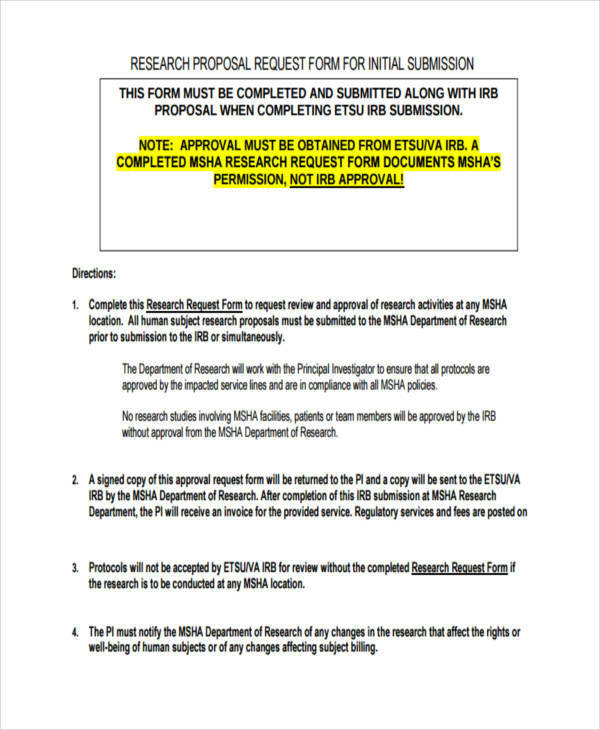 This is the other way around when using request for proposals. 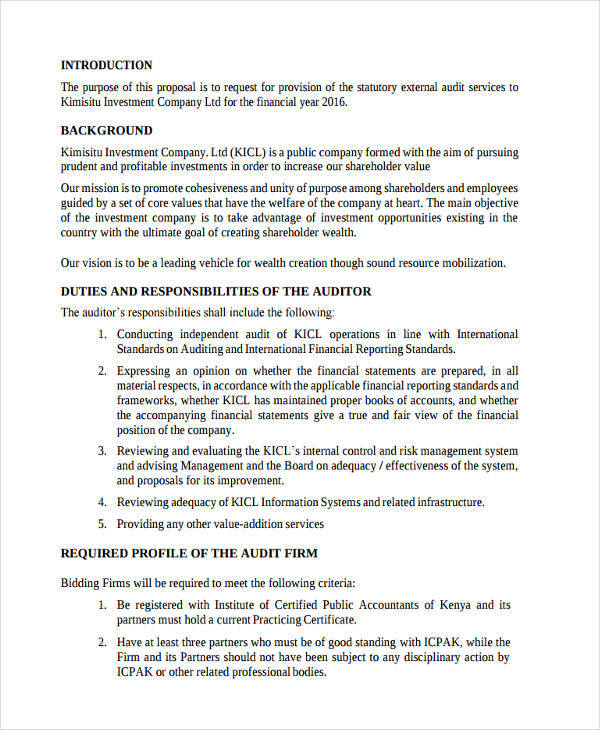 Tender bids are used by companies that have intentions to transact with a specific business. 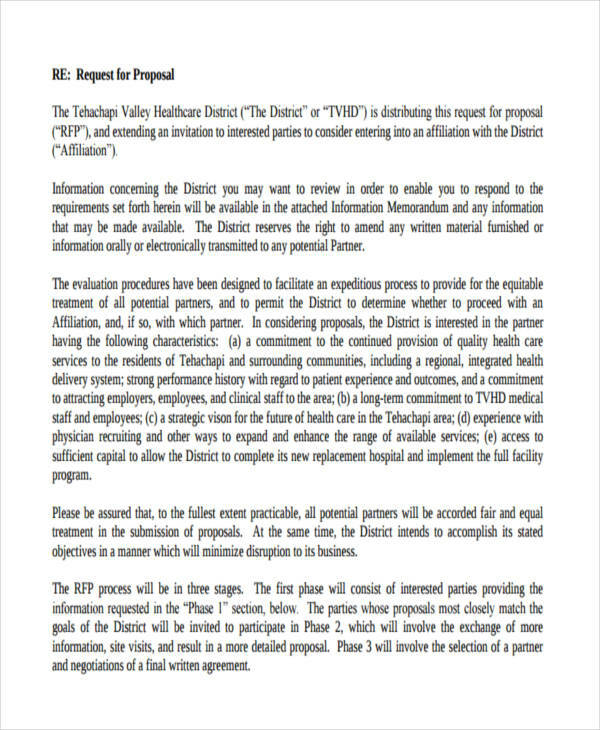 However, a request for proposal can consider a number of entities and select at the end of the bidding process. 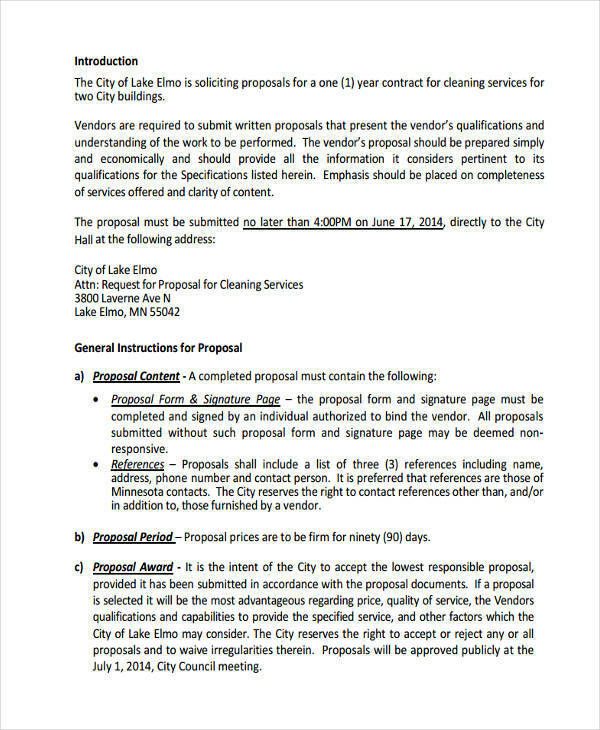 Tender bids base the contract award on the best price that an entity has given rather than the value of the offer. 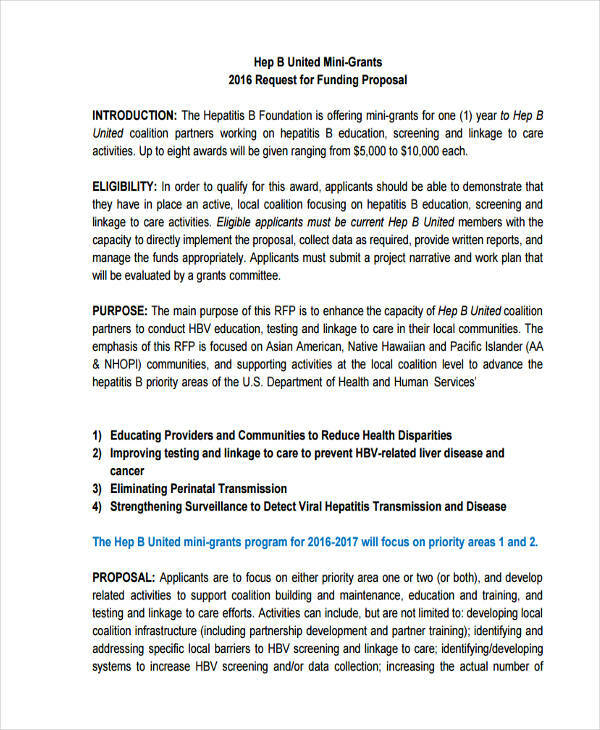 On the other hand, request for proposals looks for the quality of the offer. 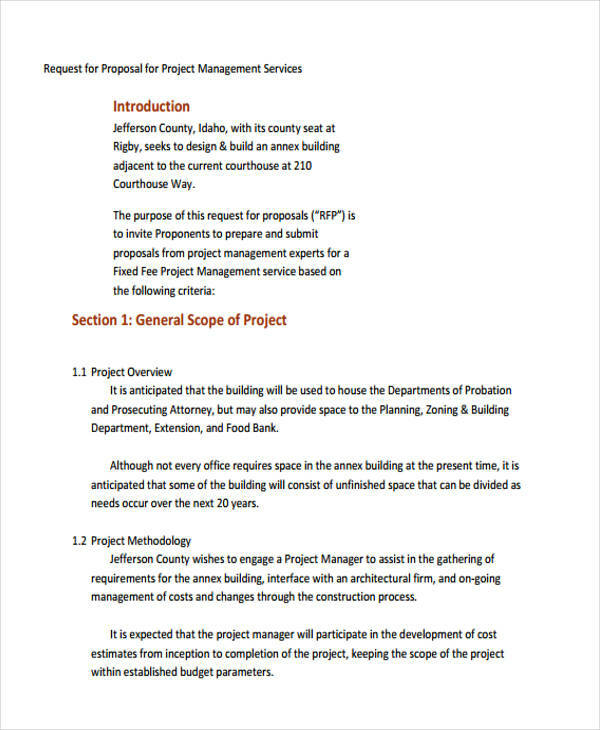 Make sure that you will provide an understandable description of the project requirements within a proposal template. The description should be specific, direct to the point and precise. It can be beneficial if you will provide a few information about the nature of your business and the needs of the project proposal where the proposal will be used. 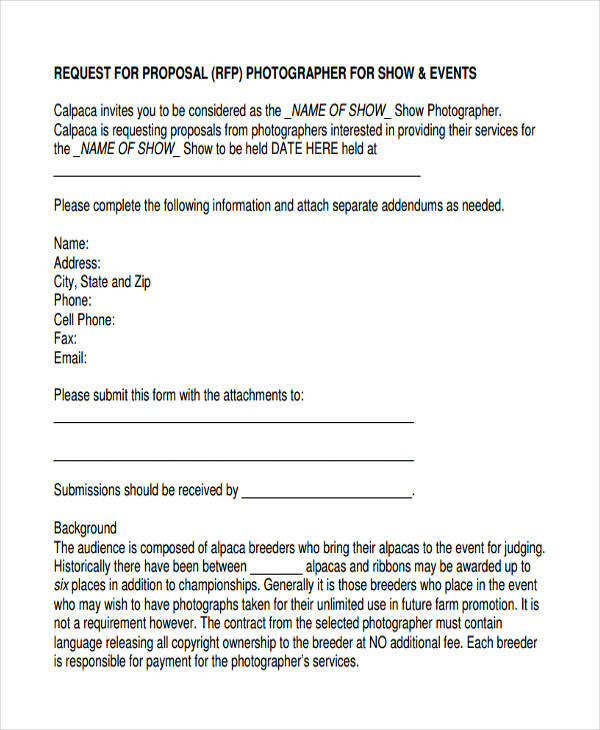 Doing this will allow the entities who will submit a proposal to look after your branding. It will be helpful if you can provide examples of the outcome that you want to have. This will be very helpful in terms of the references that entities can have so they can provide a proposal that is aligned to your wants and needs. 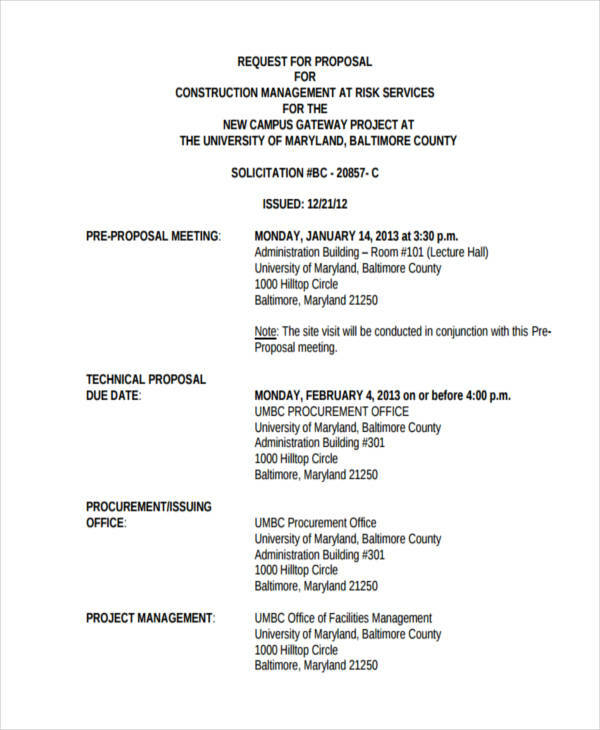 The items that you will present in a request for proposal should be organized and arranged accordingly. 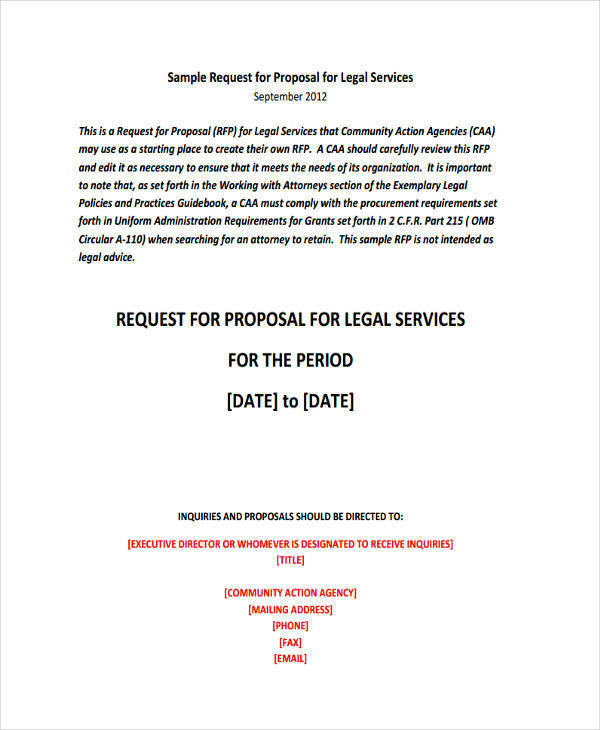 These guidelines can help you in assuring that the entities to whom the request for proposal will be sent are well aware of what you expect from them. 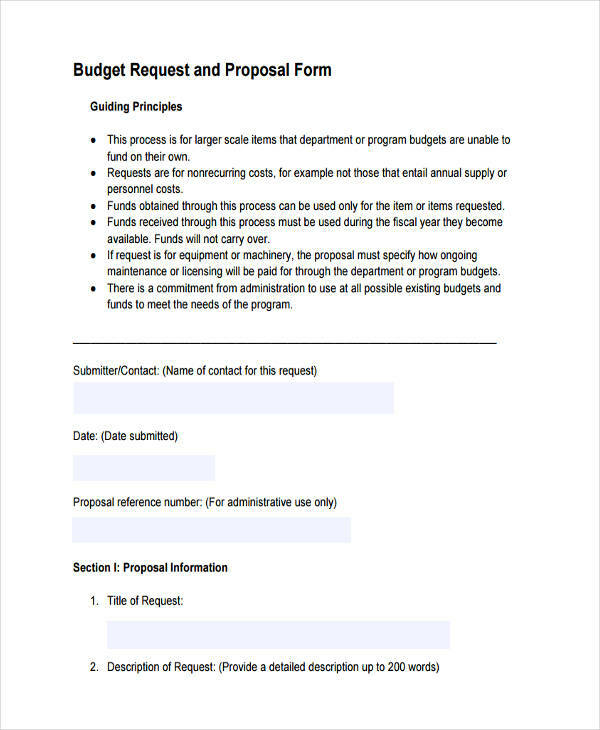 Follow these guidelines to curate an effective request for proposal document.